Elisabeth is based at the School of Earth and Environment at the University of Leeds. Her current research is directed towards global food security and, more specifically, the vulnerability of agricultural systems to droughts as part of the QUEST Project. 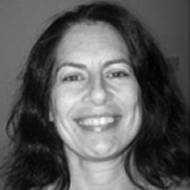 Elisabeth has an MA in Education, an MSc in Geography, and a PhD in Geography from Göteborg University in Sweden. In employment, she has been a settler of agricultural insurance claims, an agriculture extension advisor in an aquaculture project in northern Vietnam, as a trainer in Participatory Rural Appraisal methods (UNDP), co-manager and trainer in the Developing Network project for female farmers and entrepreneurs in the Novgorod region in Sweden, developer of environmental awareness training for companies, and a lecturer at Göteborg University. East/Southeast Asia, especially Vietnam and China.